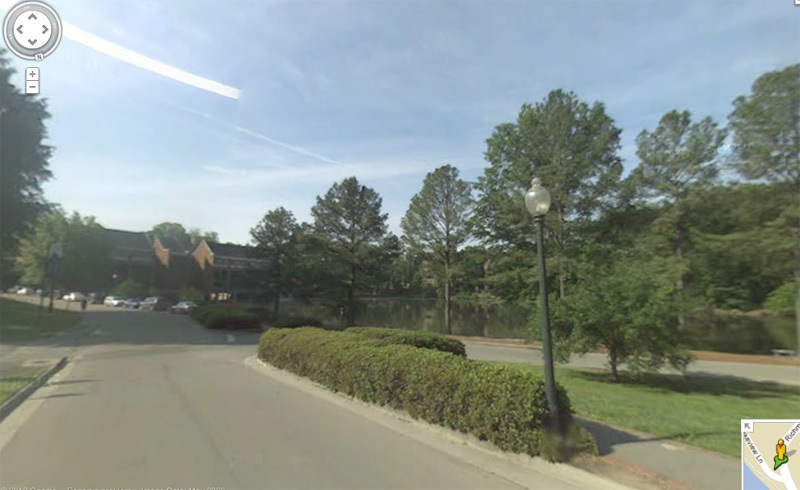 image credit: screen capture from Google Streetview, on my campus near Westhampton Lake. I'm not a gadget boy, but soon I'll make the shift from a flip-phone to a smart one. And it won't be an Apple product. Why? Google Street View. When Apple, for perfectly logical reasons, dropped Google Maps from their iOS 6 plans, they dropped me. I tend to by loyal--fanatically--to the Mac OS, and I'm a long-time hater of stodgy, backward Microsoft (Kinect and their fabulous two-button USB mice excepted). I am about to get my first-ever smart phone. My wife loves her iPhone 4, but without Street View being integrated into the OS tightly, Apple has lost me as a customer. I'm a 20+ year loyalist to the Mac OS, but I'm drifting away with iOS. Just a word of advice to the geniuses at the Genius Bar: give me back Street View...now. So yeah, it matters, Apple. I don't want to have to leap through three hoops to get Street View. I want it instantly, when I click on an address. The Phone app on the iPhone does that so well, with a "call" button in Google searches on Safari. Instead of working with a competitor or launching a bunch of Apple vans to canvas and photograph the planet (how DID Google manage that? ), Apple gives us a "flyover" view that won't help me find a restaurant or business from a human's-eye perspective. Make my new phone an Android, please, Mr. Verizon Man. And if you show me a Windows Phone, my next post here will be written from jail after a headline reads "Professor arrested after stomping on crappy phone from stodgy company late to party where they never innovated anyway." But Google? Bring it on.